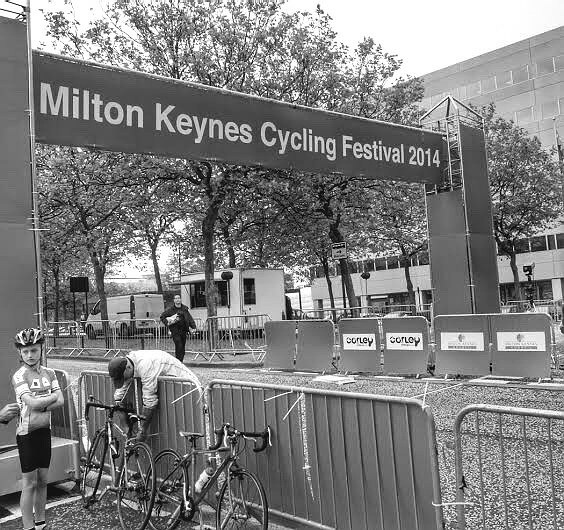 After much anticipation, it was again time for CJ to go up against some of the best wheelslinger’s in the country for Round 4 of the Nationals Youth Circuit Series at Milton Keynes. 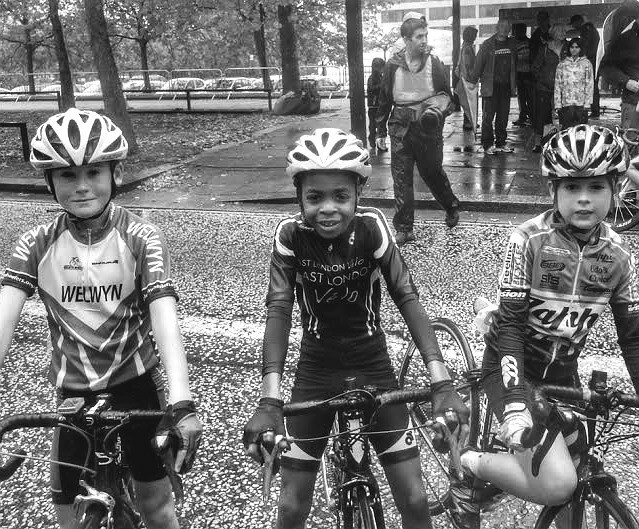 With the sighting lap for the under 10’s scheduled at 9.00 a.m. it was also an early start for the racers in Cat D with dark clouds hovering above looking almost biblical as the severe weather forecasted moved in. 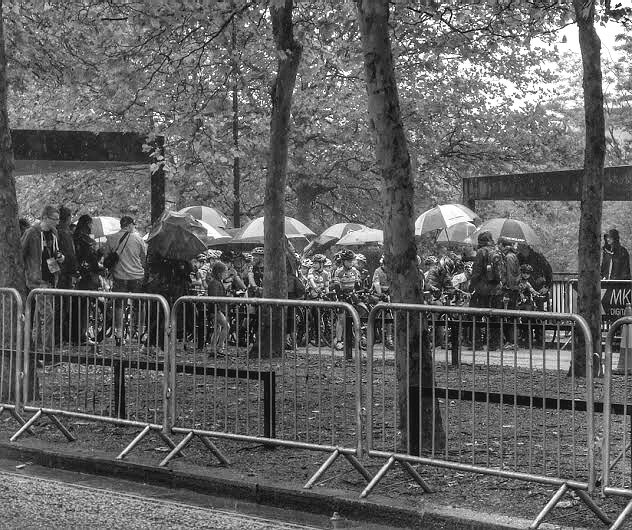 The road circuit in the midst of the town centre was almost horseshoe in shape and had various road surfaces to contend with and with expected rain we went with Mavic Griplink and Powerlink rubbers until he pulled in after the sighting lap with a rear puncture. No problem until I noted that the bead had frayed and he now had to run his near slick tubular’s as the rain now started to fall. Caelan soon hit the line to be gridded and almost to the hour the rain got beyond what I thought was safe to race and they were soon hauled off for 5 minutes until a decision was made to run it regardless. Now with no form in the Nationals Series CJ was grouped mid-pack of the near 60 racers and would have to fight to get to the pointy end of the action from the drop. From the start CJ moved through the field with low visibility as he ditched his glasses but still managed the first turn in the top twenty and by the end of the lap he was in the lead group of approximately 12 racers. 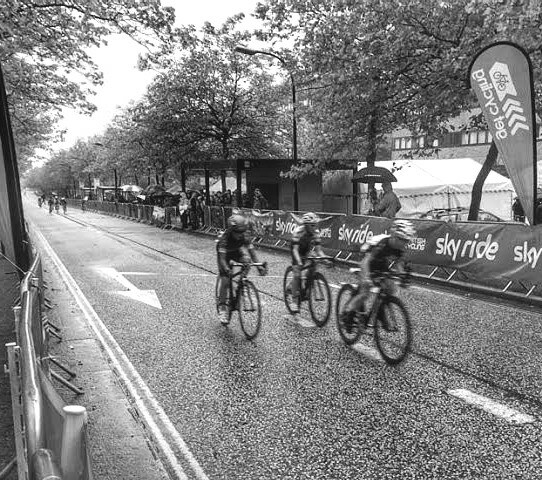 All was good into lap 2 as they traded places until the hairpin bend at the far end of the circuit where James Higham of Eastlands Velo carried more speed on the inside line in order to overtake CJ and Jed Smithson (Worxs Bikes) into the corner at Silbury Boulevard. He thought they were going fast enough to take the bend safely in the poor conditions and that the manoeuvre could end badly so braced himself. Sadly Higham went down taking Smithson with him and CJ says he instantly went into cyclocross mode and tried to bunny hop over the tail end of Smithson’s wheel until he heard his own rear wheel make contact but he managed to stay upright. Soon all those behind were switching lines and as he rounded the corner Joshua Tarling (West Wales CRT), Ben Askey (Lichfield City CC) and Lewis Dolan (Marton RT) had made the break from Askey’s attack and were now contesting the podium places. 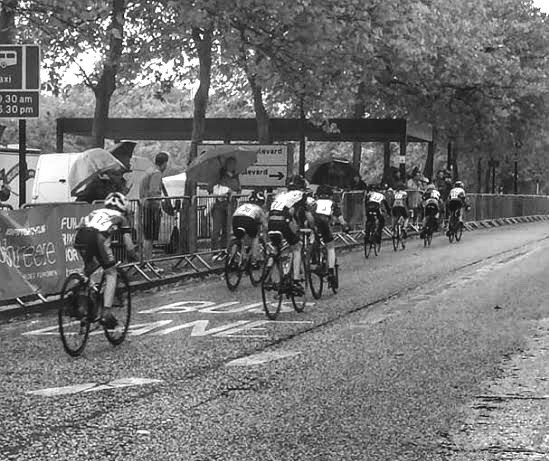 His group of now four tried to make up ground and were soon joined by Tom Davies of Welwyn Wheelers CC, but nothing could reel them in and eventually it was now down to the final sprint of his group up the long drag to the line. 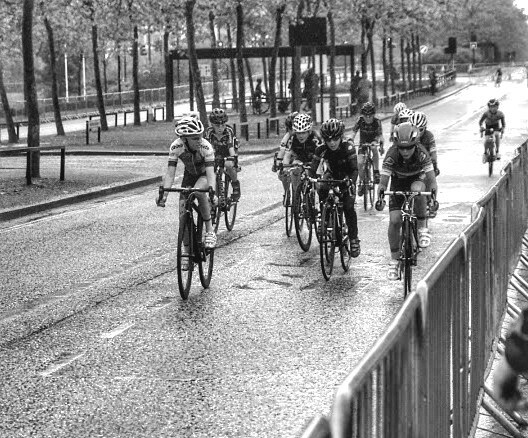 CJ went early from the corner overtaking everyone until Alex Barker (Halesowen A & CC) came back to him and pulled a gap to the line leaving CJ a comfortable fifth place. 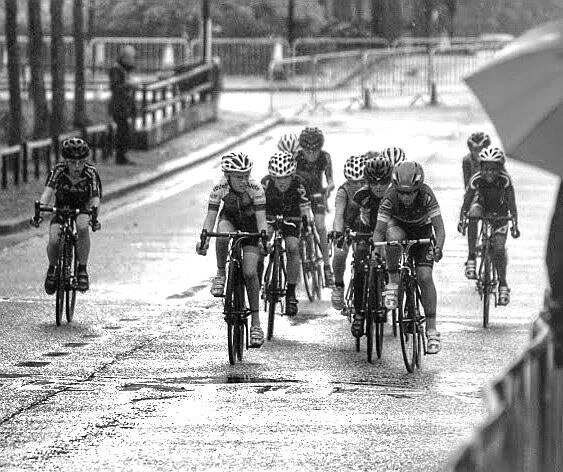 Rain soaked with Tom Davies (Welwyn Wheelers) and George Gray (Team Zappi)…..